So I'm going to try to startdoing more space scenes. I love to do them, they are relaxing and whatnot to me. This is one of them. This is a blend of unsplash images and some patterns that I purchased commercially. 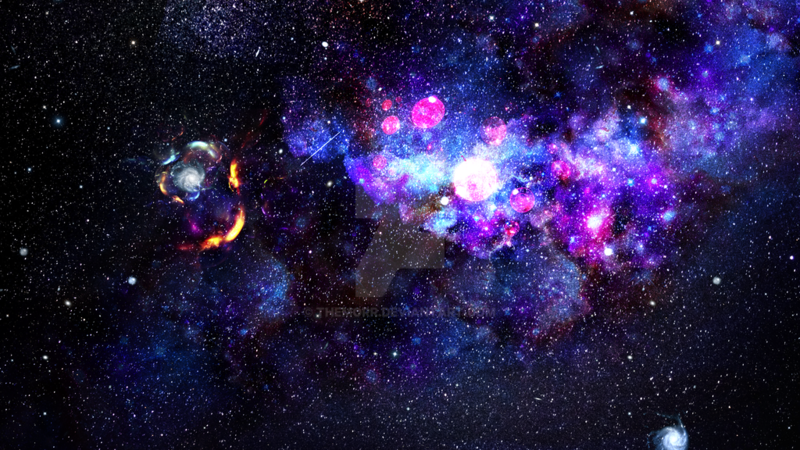 It is meant to look more or less like a nebula or space dust.